This volume brings together current research and practical innovations in the field of foreign language teaching. The contributions are all by well-known experts in the area. 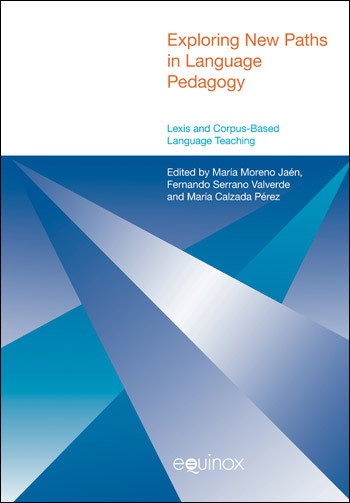 More specifically, the volume aims to give some comprehensive and updated coverage of theory, research and practice in two of the most challenging issues in today’s English language teaching scenarios: the development of L2 vocabulary knowledge and the contribution of new corpus-based evidence to language teaching. The first section of the volume presents a comprehensive overview of relevant issues in the field of L2 vocabulary acquisition, where surveys of the state of the art in the area combine with empirical studies which approach the topic from the field of applied linguistics (teaching techniques, material writing), as well as from complementary disciplines such as semantics, phraseology and lexicography. The second section of the book delves into the pedagogical applications of current research in the field of corpus-based studies. The papers collected here explore the potential of new corpus evidence for the development of foreign language learners’ competence. The final section bridges the gap between theory and practice by bringing together an intensely practical collection of papers offering useful advice on how to deal with vocabulary and/or corpora in the foreign language classroom that are derived from teaching and research conducted at the University of Granada (Spain) under the acronym ADELEX (Assessing and Developing Lexis through New Technologies). Though some papers involve reference to other languages such as French and Spanish, this is essentially a study of corpus and lexical theory as applied to contemporary English. The volume is backed up by an independent, dedicated website maintained by the editors. While web-based activities and vocabulary tests complement the printed material for the entire volume, Section 3 “From theory to practice”, provides systematic support.